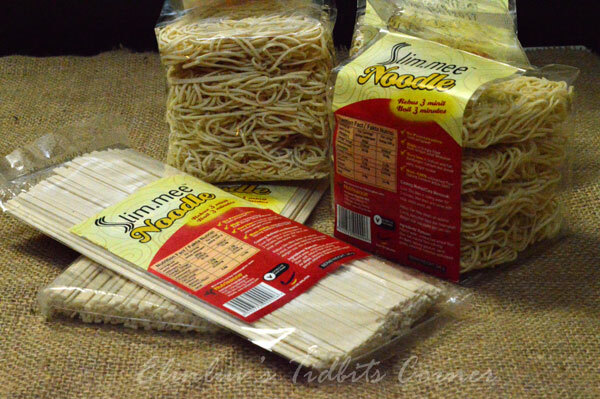 A few weeks ago, I was given the opportunity to taste test this SLIM MEE dried noodle direct from Nutrisanne. Thank you Nutrisanne and Kristy of My Little Space for this great opportunity to taste test Nutrisanne new invention. 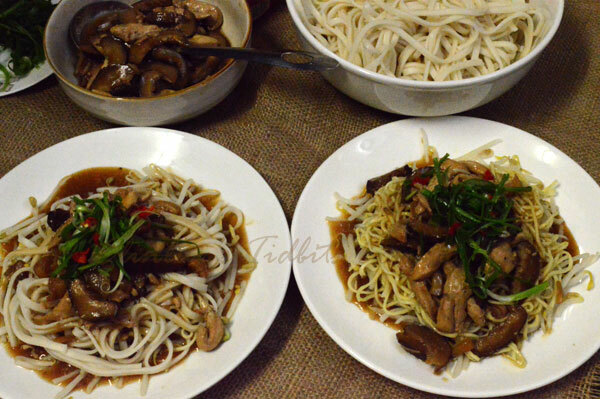 These 100% vegan noodle, NO preservative, NO GMC and its high fibre , which helps to absorb more flavoring easily. I could not wait to test it our. 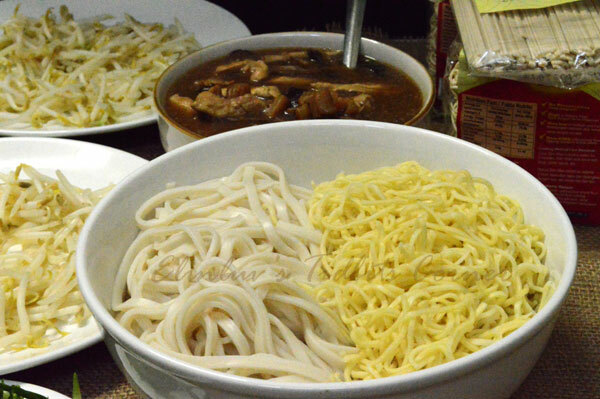 It is easy to prepare and I love the texture of the noodles. 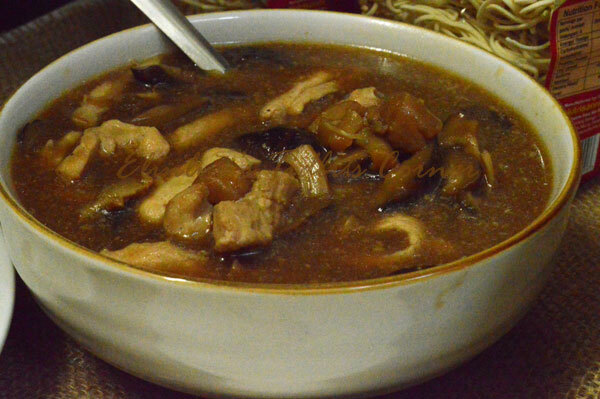 I braised chicken with chinese black mushrooms and dried scallops for the thick soup to go with Slim.mee noodles. It is delicious . As long as Wild Boar loves it, I dont mind cooking these for breakfast. You can prepare the thick soup a day before hand. This preparation is a keeper for sure. The texture of the noodles is springy. I tried out the fettucine too, this perhaps takes about 5-6 mins to cook to al dente though the instructions say 3 mins. Fettucine for me and normal noodles for Wild Boar. I am glad that he loves it ! this is truly a delicious one ! Heat 2 tbsp of rice bran oil in a pot, saute marinated chicken strips for a few mins till cooked. Dish up and keep aside. With the remaining oil, saute the garlic slices till fragrant, add in the mushroom strips and continue stir fry for a few mins. Add in 2 cups of water, oyster sauce and thick soy sauce and simmer under low heat for 20 mins. Add in the soaked dried scallop together with water that is used to soak the scallops and continue to simmer till the scallops are soften. Add in the cooked chicken strips, then add in thickening and give it a quick stir. Off heat once the soup thicken. To serve. 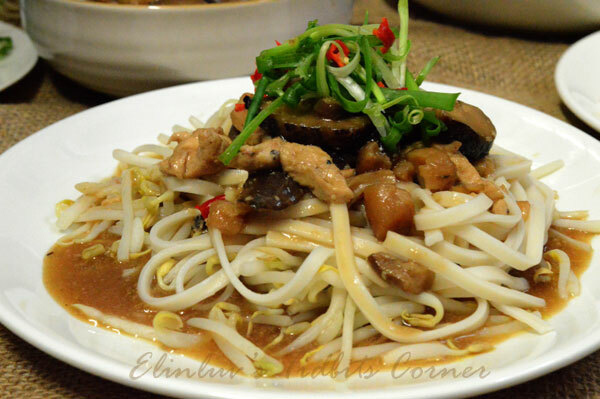 Arrange the bean sprouts as base, top with the cooked noodles. 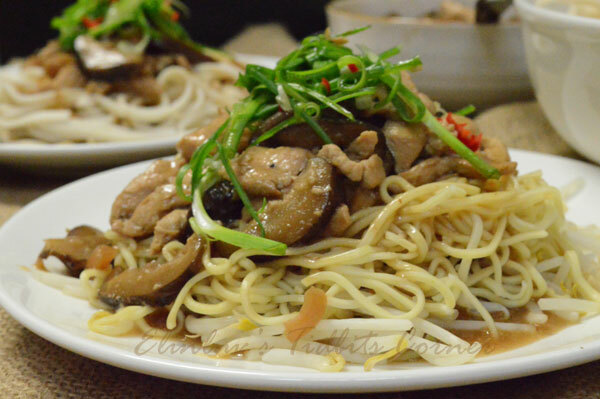 Pour the braised chicken and mushroom thick soup over the noodles. Garnish with spring onions and chilli. Serve hot. Mmm....I love all kinds of noodles apart from the yellow Hokkien mee. 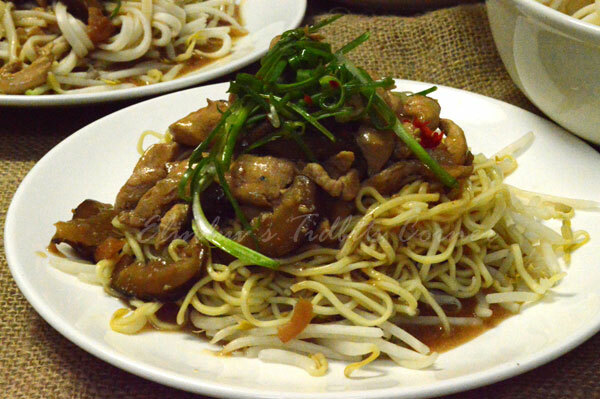 And your braised chicken n mushroom is just the right topping! 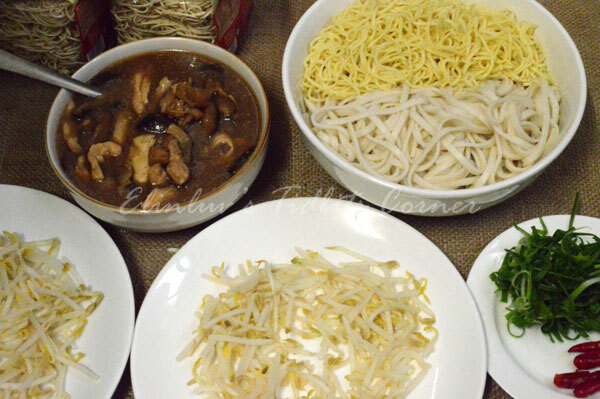 Healthy home cooked noodles look yummy. Good day Elin, I just came back from a short camping trip. Finally, have time to drop by. Nutrisanne will soon put the link to their official fb. You can check it out later. Wow, your noodle sounds really easy. And such a comfort food for everyone and how your prepare the gravy as well. Thanks so much for joining the taste test task. I am proud of you.